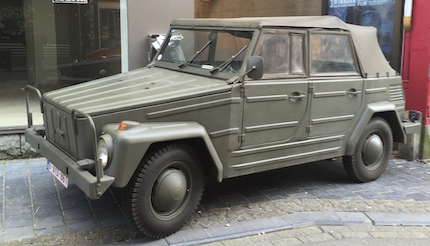 Source: VW Kublewagen Military Portfolio 1910-1990. WWII battleground blog. Multiple. 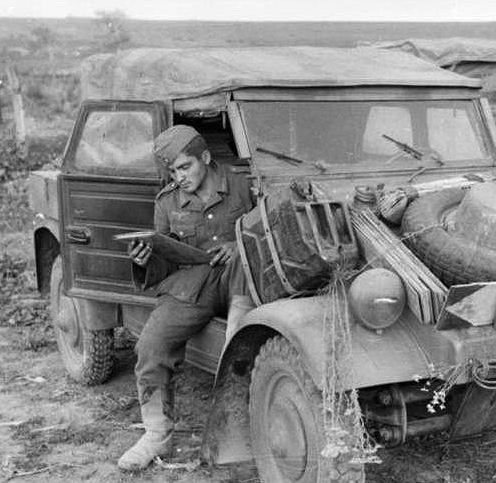 In the above picture, you see the two most popular whicles of the war - one, an American Jeep; the other, the German Volkswagen. The battle rages on between their respective fans but given our brand, our focus is on the vehicle designed by Ferdinand Porsche and built by Volkswagen during World War II for use by the German military - the VW Kübelwagen. It is widely reported that just over 50,000 were produced due initially to demand from high ranking Third Reich army officials for an inexpensive. light-weight military transport vehicle for on and off-road use - the VW Beetle provided the basis for such a vehicle. When the German military took delivery of the first vehicles, they immediately put them to the test on and off-road in snow and ice to test their capability at handling European winters. 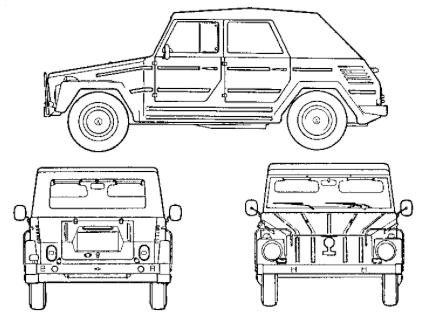 Several four-wheel-drive vehicles were used as reference points. 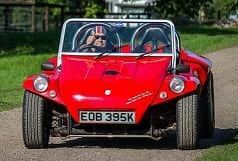 The two-wheel-drive Kübelwagen surprised even those who had been a part of its development - reportedly it out-performed the other vehicles in nearly every test. 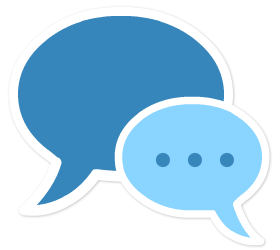 Test DescriptionThe car has no frame, but uses a base stamping consisting of the floor, part of th ebody sides, and a central tube to impart strength to the whole. Independent suspension is used on all four wheels. The front wheels are capable of moving up and down relative to the car on a parallel linkage supported by two torsion rods mounted transversely. Steering is accomplished by a conventional steering box operating a tie rod to each wheel. At the rear of the vehicle, the engine, gear box and differential housing are mounted as a single unit - the engine being behind the centerline of the rear wheels. Separate axle housings are arranged to move about universal joints placed in the differential housing. Radius arms hold the outer ends of the axle housings in position, and these arms transmit the motion of the wheels to torsion rods. The axle shafts inside the housings drive reduction gears at each wheel. Transverse motion of the wheels is prevented by the universal joints. Off Road & On-road fun - It's a VW Thing. 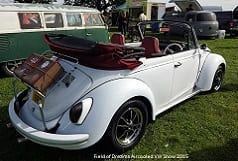 The VW Beetle, Kübelwagen and amphibious Schwimmwagen and all their respective featiures gave way to the sudden realisation (along with a certain market demand), that the VW running gear and chassis were capable of giving a new look to freedom. VW knew what they had all right. After all, over 50,000+ Küubelwagens had been built and they'd come through the freezing Russian conditions and the boiling deserts of North Africa with flying colours. The Kübel was practicality & simplicity - a body design of flat sheet steel with corrugations built in to provide rigidity. All four of its doors were the same size and therefore interchangeable and the body sat on the floor pan of the VW Saloon of the corresponding year of production, making the bodies interchangeable and in common with the saloon, it had the 25hp 1131cc air-cooled flat-four engine which though small by today's standards did the job and remained unchanged until 1954. The Küubelwagen was all the military could have wished for; light, simple, and it always worked, costing VW only £45 to produce. The VW Trekker is a modern version of the Küubelwagen, offering Beetle mechanics and reliability in a different and roomier package. If VW did want to enter the leisure market then a modern Küubel would be the answer and this is exactly what the new vehicle is. It's called the 181 and its lines cannot be mistaken for anything other than its military predecessor of 30 years ago. 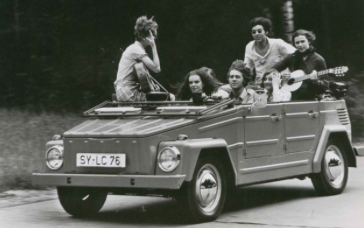 The VW Type 181 was mainly intended for the American market where it's known as 'The Thing' but built in Europe during 1969 (known as 'Trekker') then production went to VW Mexico (known there as 'Safari'). The body is steel and it's built with the usual strength of the VW range - the metal is double-skinned round the rear portion of the body and down the sills on either side of the lower body. To detach the doors, press back a spring-loaded catch, the door-restrainer is released and the door swing out-wards and then lifts off their open-ended hinges (enjoyable for us when at VW Shows) and the windscreen folds flat if required, lying flat on the bonnet and secured by pegs clipped into rubber stoppers. The comfortable seats are from the VW Saloon, and so are most of the instruments including the light controls, speedo and tank gauge. A couple of novelties on the dash you won't find on the ordinary VW Beetle range, however, are the electrical socket; listed as used for an inspection lamp or kettle. Some models have a gas heater, born from operation in artic conditions where a heater is just what you need to keep your toes aglow. They run off the vehicle's fuel supply by drawing petrol into the heater, vaporising it, and burning it with a jumbo sparking plug. This huffs out the proverbial dragon's breath when it's switched on and roars out of a tunnel under the dash panel. 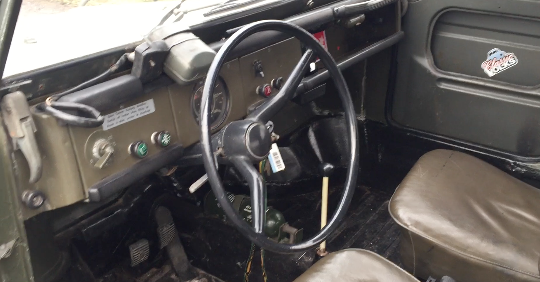 The heater is controlled by a timer in the switch, and can be used to heat up the interior before the car is driven. With the hood down by collapsing the frame and folding the hood on top, the 181 takes on the appearance it's said, of a classic thirties drophead, with the hood proudly displayed. 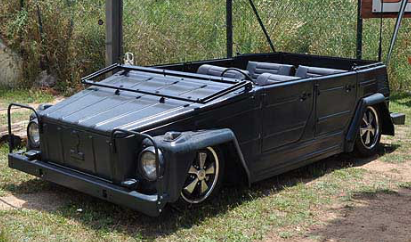 We at ClassicVolks simply think it's another cool family member in the volkswagen line-up. If the original engine was good enough for the Kübel, then today's 1600 twin-port must be fine for the 181. You can use it for anything and it was billed often as the VW that you take where the going gets rough. We enjoy its versitility and will often fold the back seat down for extra hauling capacity. Put the top down, take the doors off, fold down the windshield and you're ready to play in the sunshine. If it rains, don't worry - water drains out and the seats wipe and dry off without worry. Leave it to volkswagen to make a good thing! 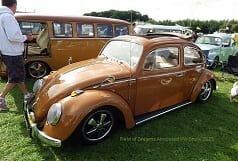 If you own one, take it to our Aircooled VW show. Trekker Windscreen Replacement write-up & windscreen glass dimensions. 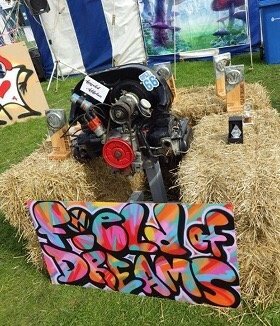 When is the Field of Dreams Show? 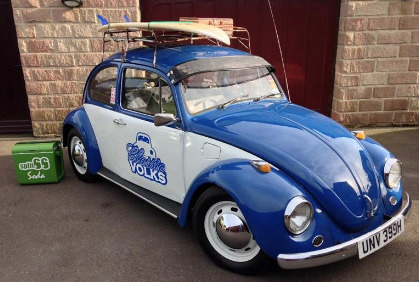 @liam_68 to@Classicvolks Good to hear from you kate - we're well thanks. 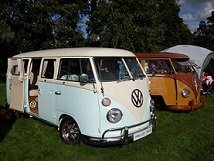 @Classicvolks to @comfy_camper I sent them yesterday jane, ask simon if he picked them up?. @Classicvolks to @StuVandiesel Lol - i'll be sure to pay you back for that one Stu. you heading to spring dub?